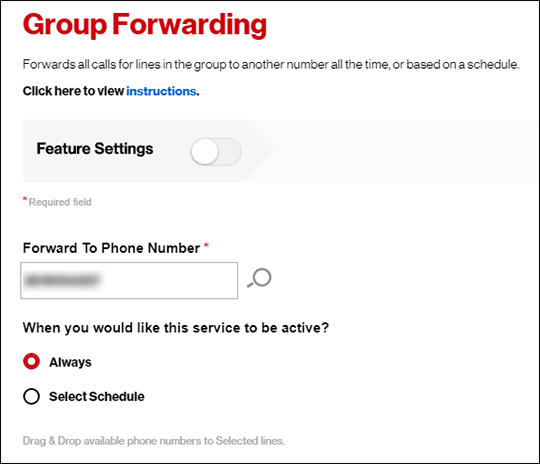 Group Forwarding allows you to set multiple lines in a group to have all incoming calls forwarded to a specified number. 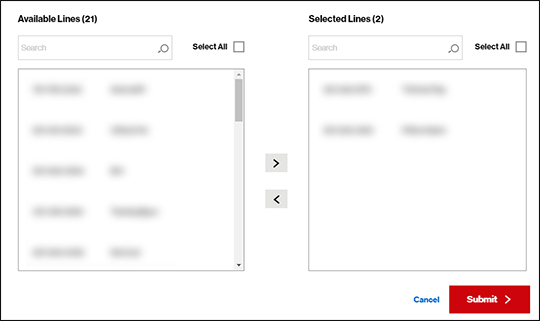 From the One Talk Overview page, click Features. Select Group Forwarding from the left column. Click the Feature Settings switch to turn on . In the 'Forward To Phone Number' box, enter the phone number to which you want to forward calls. Select 'Always' or 'Select Schedule'. If choosing 'Select Schedule', select the preferred option in the dropdown boxes. Currently a known issue exists when using a schedule; users may experience "always forward" behavior even when using a schedule for Group Forwarding. Select the One Talk lines from the left box and adjust the queue using the left/right arrow buttons.